Oman is a beautiful country with a rich cultural heritage and history. But many people may not know that it even exists as its neighbouring countries, such as Saudi Arabia, are much more in the limelight in recent times. That doesn’t mean that Oman can be missed out. If you spend any time in the Arab Peninsula then you simply must make the time to visit Oman and take in its history. But what is Oman famous for exactly? Well, what makes it famous will probably change from person to person. So let’s look at everything Oman has to offer and what it is famous for. Oman has a history stretching back centuries. As with many long-standing countries this history is steeped in warfare and trade. Being in a perfect position with easy access to large bodies of water and trade routes, Oman is well known for changing hands between invading settlers and armies such as the Portuguese, Ottomans and British Empire. Its major port cities such as the capital of Muscat, have been used as the major trading hubs for the country for centuries and were a prime target for those looking to gain a significant foothold from which to press further inland. For example; the Portuguese took Muscat by force in 1515 and held it until 1650, such was its importance to their plans for invasion and the management of their occupation. 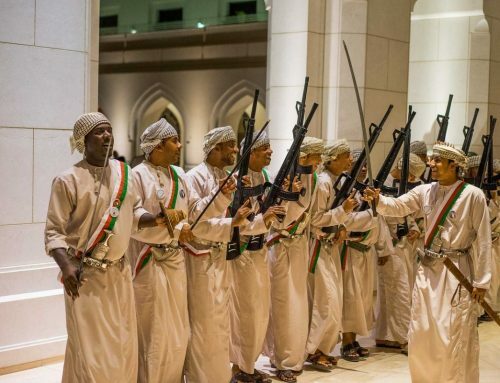 However military history is merely just a part of what makes Oman’s history well known. 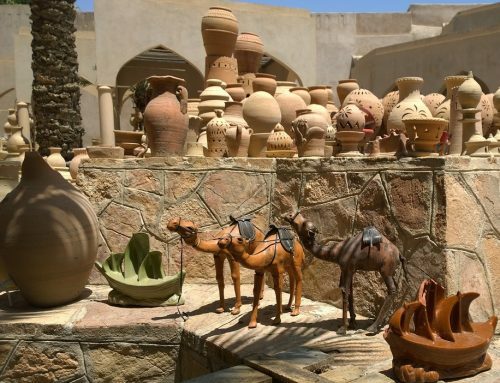 The frankincense and spice trade in Oman was of the utmost importance in building its stable economy and financial security. And it wasn’t until the 1990s with the massive growth of its oil industry, did the other trades start to take a much more secondary role in the economic growth of Oman. That doesn’t mean that their historical trading has taken a back seat at all. In fact due to its significance, one of the major hubs for the trade, the Land of Frankincense, has gone on to become a UNESCO World Heritage site. One of only 4 in the country. But the trade hasn’t stopped there. The world famous souqs of Oman are still in use today. The 2 largest souqs are the Muttrah Souq and the Nizwa Souq. These souqs still operate to this day, trading everything from fabrics to silverware and even ceremonial knives and blades. These souqs draw in thousands of visitors each year due to their handcrafted and unique products. Due to its long history, the UNESCO world heritage organisation has decided that parts of Oman’s culture and history must be preserved to the best of our abilities. To that end they have decided to classify a number of Oman’s long-standing areas as world heritage sites, thus making them more well known to the wider world. These sites include the previously mentioned Land of Frankincense, as well as the Archeological site of Bat, Al-Khutm and Al-Ayn, the ancient Bhala fort and the Aflaj irrigation system. Each of these has left a significant cultural or historical mark on Oman and as such must be preserved for the future. For example, the Aflaj Irrigation System uses techniques from near 1500 years ago to provide much-needed water to the areas that needed it the most. The Archeological site of Bat Al-Khutm and Al-Ayn contain some of the world’s oldest necropolises coming in at around 3000BC at the time of their construction. They even feature in the world famous literary piece, the Epic of Gilgamesh. In more recent years Oman has undergone a massive transformation in order to make itself more welcoming and attractive to tourists. And it has been working. 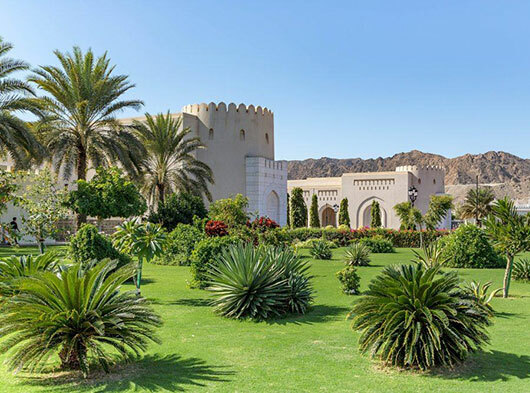 Oman has seen a massive uptick in tourist numbers over the years due to its ever-improving facilities, cultural reforms and places to take in its historical and recent culture. 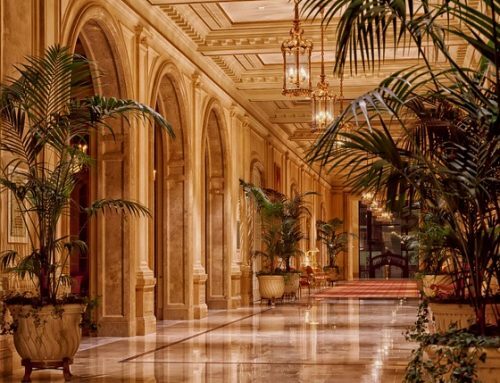 These attractions include the Oman National. 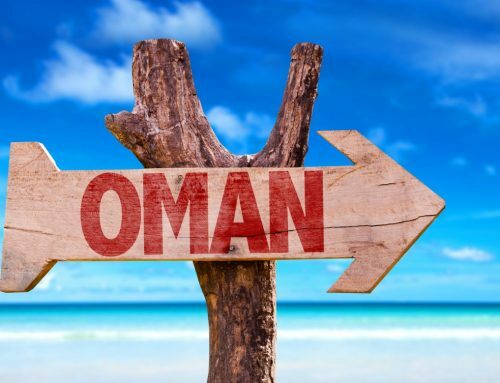 Can you get an Oman Visa at the Border? Oman e-Visa Travel Authorization Agency is professional visa agency that provides assistance to eligible travelers visiting the Sultanate of Oman in obtaining their e-visa Documents. Oman e-Visa Travel Authorization Agency is not affiliated with Oman Government, or any other Omani authority. It is a commercial website that assists travelers in the processing of their electronic travel authorization documents for travel to Oman.